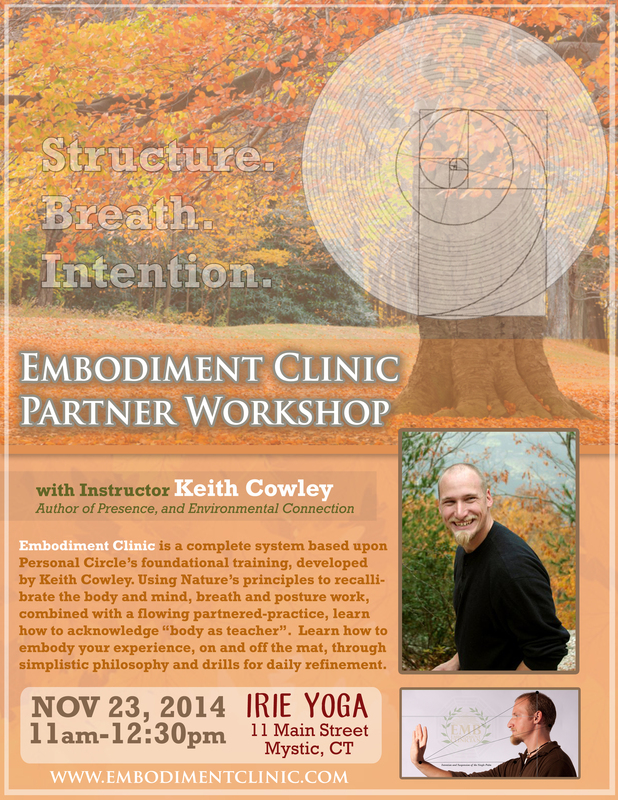 Embodiment Clinic is a complete system based upon Personal Circle’s foundational training, developed by Keith Cowley. Using Nature’s principles to recalibrate the body and mind, breath and posture work, combined with a flowing partnered-practice, discover how to acknowledge “body as teacher”. Learn how to embody your experience, on and off the mat, through simplistic philosophy and drills for daily refinement. Inquire about Autumn Classes and Clinics! Keith Cowley joins Studio 4 in Downtown Westerly RI! The Official HEAL LOCAL Holiday Fair event poster!